If ever I cease to love - first line reads: In a house, in a square, in a quadrant. 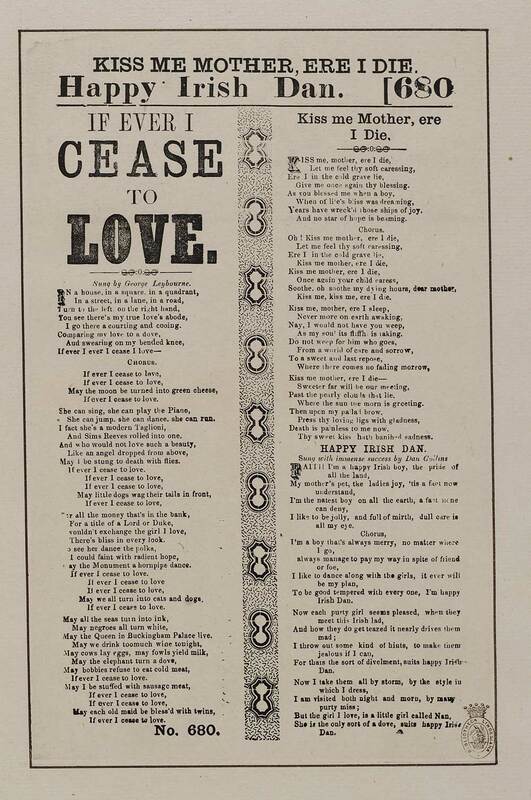 If ever I cease to love - Sung by George Leybourne. Kiss me mother, ere I die - first line reads: Kiss me, mother, ere I die. Happy Irish Dan - first line reads: Faith I'm a happy Irish boy, the pride of/ all the land. Happy Irish Dan - Sung with immense success by Dan Collins.